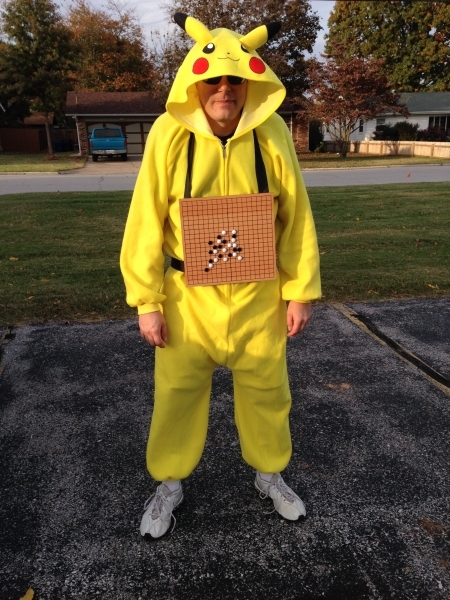 Visit my post I Am Buck Rogers. It would be the equivalent of dressing like Capt. Malcolm ‘Mal’ Reynolds from television’s Firefly—in 2007. Clearly, I underestimated the multiplier of the Internet on geekery. I could dress up as Mal Reynolds in 2016, and people would know who I was. 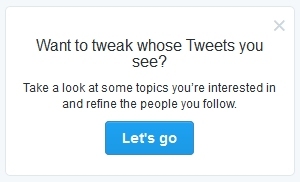 Funny, I thought there was a way to control what tweets I saw. But that’s before Twitter decided what I really want to see is a stream of promoted tweets, items I might have missed out of chronological order, a list of people I might want to follow because Twitter thinks I should, and Tweets that people I follow liked. I’ve thinned my Twitter usage a bunch. Partly because things have taken a political turn that I don’t enjoy and partly because Twitter keeps upping the noise ratio to the signal. In addition to albums, I bought some books from the Better Books section. I focused mainly on art, local interest, and history because my child’s behavior was on a countdown timer. 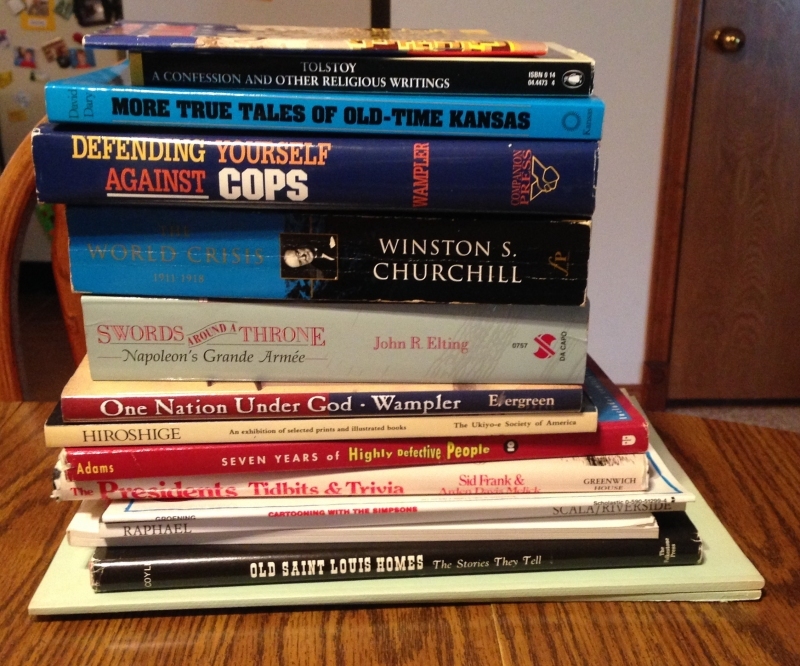 Two books by local attorney Dee Wampler, Defending Yourself Against Cops and One Nation Under God. Both are signed. Two copies of the Medænas Monograph for Camille Pissarro. I thought I’d picked up copies for two different artists, but it turns out they’re the same. It would have helped if the cover had an image and the artist’s name like the one I just read for Rubens. A collection of art by Hiroshage to ensure I don’t really care for Oriental art. Tolstoy’s A Confession and Other Religious Writings. More True Tales of Old Kansas, an anecdotal history of Kansas. A Winston Churchill history of World War I, The World Crisis. Swords Around the Throne, a history of Napoleon’s army. Seven Years of Highly Defective People, a Dilbert book by Scott Adams. I don’t know if I already had this book, but I know I have to start re-buying them as my oldest child has started appropriating other Dilbert books. The Presidents: Tidbits and Trivia. Old Saint Louis Homes: The Stories They Tell. Cartooning with the Simpsons, a book about how to cartoon the Simpsons way. I bought it for the kids. As you can see, I was focusing on books I can browse through football games and whatnot. A more disciplined approach than some days where I’ve come out of a book sale with 40 or 50 books, but apparently I now save that profligacy for record albums. Heh, heh, heh. Did I say that the Clever book sale might be the only one we hit this autumn? Yeah, I recant that testimony. On both Friday and Saturday, circumstances led me and one or more of my children to the northern reaches of Springfield (almost south Bolivar, really) where the Friends of the Springfield-Greene County Library had its autumn book sale. The circumstances were that I had some time to kill and the book sale was just sitting there. Of course, as in recent memory, my main focus was on the LPs. The first day, I hit the dollar LPs, and on half-price day, I looked through the Better Books section’s more expensive LPs. I bought, apparently, 66 albums. Benny Goodman Quartet Together Again! Perry Como Saturday Night with Mr. C.
Rocio Jurado Por Que Me Habras Besado? I got new (to me) albums from Herb Alpert, Eydie Gorme, Rocio Jurado, and Maynard Ferguson. I got some from easy listening masters Perry Como and Nat King Cole. I’ve broadened my record collecting to include obscure 80s metal bands (two from Keel). I’ve continued venturing into R&B and disco (LTD and Starpoint–I already own Stargard). I picked up a couple from artists who I bought last time and enjoyed (Herbie Mann, Grover Washington, Jr.). I got five and a half new Dean Martin records. I got four Dave Brubeck platters. And the spring sale featured a number of Brazilian women acts from the late 1970s, this time had a number of male acts, but I only took a couple of them; I’m afraid I’ll find their voices are not as deep as Beth Carvalho. So if anyone needs me, I’ll be up in the parlor spinning discs. You 21st century kids with your digital Internet-connected, automated, MP3-playing umbrellas! 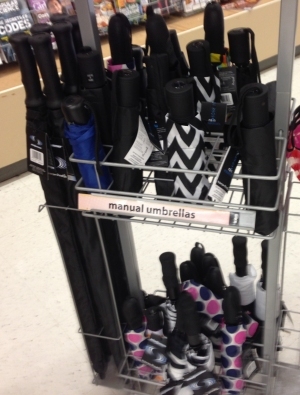 Why, I’m no Luddite, but I prefer a manual umbrella. Fortunately, I know just where to get them. I kid, I kid. Of course I don’t use an umbrella. I wear a hat, for Pete’s sake. So I’m ready to register the North Side Mindflayers Trivia Team for a trivia night to support the local Lutheran Student Center, and the registration form asks you how many children you’ll need to register for child care. Now, it’s a table of 6 people. But for Lutherans, that might be a valid example number. For the record, the progeny of our six is 11, but it’s three couples. If it were six mommies, it could easily be 23 or more. Also: Note that children who are 3.5 years old must wander the LSC floor begging for snacks from the various tables since children between 3 and 4 will not have child care provided. On Friday night, we were some of the first people to visit the semi-annual Friends of the Clever Library Book Sale. Unfortunately, this year it was smaller than it has been in the past. Perhaps I mean “fortunately,” since that limited what I could buy. But this might be the only book sale we make it to this autumn (as we have already missed the Friends of the Christian County Library in Ozark and the Friends of the Springfield-Greene County Library book sale is all the way on the north side of Springfield these days). Mostly, it’s movies, which is a shame: As I might have mentioned, I’ve been trying to clear out some of the films I’ve accummulated in the last decade that I have not watched (yes, I have a to-watch shelf). 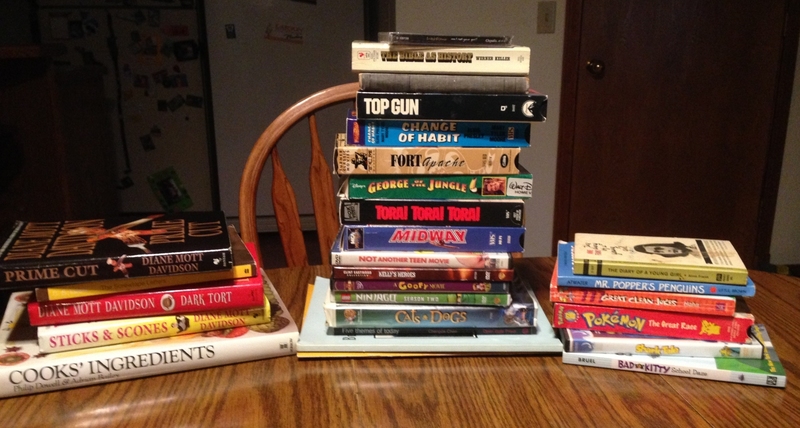 Thanks to Wednesday Movie Nights this autumn, I’ve cleared a couple out. Enough so that I didn’t have to stack this weekend’s purchases atop the cabinet. I got a couple kid-friendly movies for those rare instances where I watch a film with the children; a couple of World War II things; Top Gun; a Clint Eastwood movie I’d never heard of, Kelly’s Heroes; an Elvis movie, A Change of Habit, and Fort Apache (not Fort Apache: The Bronx). Five Themes of Today, a collection of philosophical poetry I expect to be very self-conscious. The Bible As History, a fat paperback. A couple of local interest sorts of self-published looking books. I also got a CD of Sinéad O’Connor’s, Am I Not Your Girl?, a collection of jazz standards. From 1992. Interesting. I haven’t listened to it yet, but I’m sort of looking forward to it. At any rate, that’s like five new books. That’s as many as my beautiful wife bought and fewer than my children got. What has happened to me? I used to buy so, so many. Perhaps I’m starting to think I won’t live forever and might not have a chance to get to all the books I have already. Of course, it’s entirely possible that next week, where I suddenly find myself in North Springfield on half price day, perhaps this question will be answered. You see, Unitatis Redintegratio is the Vatican II decree on ecumenism, wherein the Catholic church wants to reunite the faith, and within it it says that the Catholic church is doing everything right, and other Christian denominations are doing as much right as they are aligned with how the Catholic church is doing things. Never mind, if I have to explain the joke, it loses a lot of its funny. Actually, I’ll have to try this on an actual Catholic theologian to find out if it’s actually funny, or if I just amused myself because I think it’s clever. 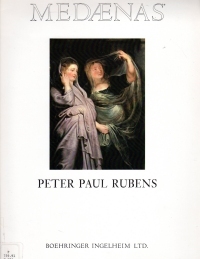 This book is a monograph on the work of painter Peter Paul Rubens, but it’s not a very comprehensive monograph, as it is only 30 pages followed by a dozen pages of advertising for a hypertension drug. At any rate, as you might know, Rubens was a sixteenth and seventeenth century Flemish painter perhaps most known for his fleshy nudes. He (and his team) did more than that, of course, handling commissions for religious installations and whatnot as well as landscapes. I know, you’re thinking, “Hey, this guy likes the Impressionists so much, what’s with the Baroque?” My friends, I try to review lots of books of art except modern stuff just to see what appeals to me. Even when I already know some of the things I like, I like to try others, you know. At least that’s how I phrase it when I try to get my children to eat something bizarre I’ve bought at the grocery store in the international aisle. At any rate, a quick browse with a decent bio of the artist. This particular volume has the stampings and markings of the Springfield Art Museum, but no markings that say No longer property of the…. I hope it’s not stolen goods. 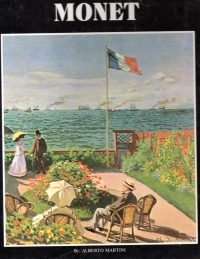 This book is an Avenal coffee table book of Monet’s work which shows his evolution from his early days to his creation of Impressionism and beyond. As I’ve mentioned before, I like Impressionism because it not so much conveys the immediacy of a scene in a vital way (which they tell me it’s supposed to) but because it reminds me of a memory of a scene–that is, a little fuzzy around the edges. Which is why I prefer Renoir or Manet to Monet. His work deals a lot with landscapes, and I prefer my memories with people in them. His later work gets to using larger brush strokes which make the items in the paintings less distinct, and I’m not sure how the bigger brushstrokes are better designed to capture the immediacy of light playing on water or whatnot unless you’re losing your sight. At any rate, this was a relatively quick browse, and it reinforces what I know about Impressionists and my appraisal of them. So a couple of years ago, we got a bedroom set with a configurable four poster/canopy/sleigh bed and dressers that actually match. As you might guess, this was not my idea. But for a number of years, we didn’t have any curtains on the bed. When I looked for sets, I found them to be too expensive. When I bought curtains off the shelf, I found the pockets were too small for the canopy rails. 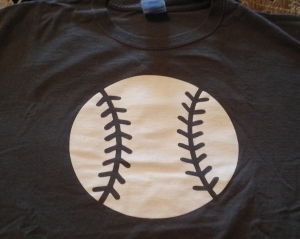 I considered custom sewing, but that, too, would prove expensive. So we didn’t have any canopy or whatnot for a long time. And then I thought: Magnets. I bought some craft magnets. I folded the tops of some of the sheers I’d bought but whose pockets were too small for the rails over those rails and used the magnets to stick them. And, voilà! We had the adult equivalent of a fort to sleep in every night. 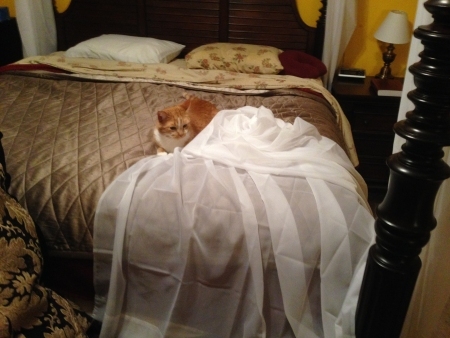 Until Roark discovered he could leap into the sheer and bat at it until it fell. I’m really glad we didn’t go with the expensive custom-sewn solution before he discovered this. So have some cats as D&D characters. This book is a movie script turned into a short almost-novelization, so it falls somewhere between a story book and a full novelization of a film. Also, the book was written by my old drama workshop teacher from Marquette, the workshop that say the germination of The Courtship of Barbara Holt. It’s a meta book about the film making industry: within the film adapted to prose, Ethan Burns, the son of a famous Western star, works at a cable game show after a lackluster direct-to-cable acting career as his wife and agent manage his father’s legacy. 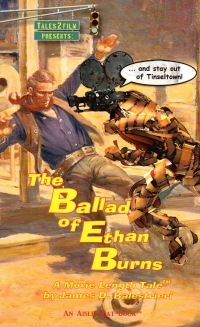 A student approaches Ethan Burns with a script for a proper Western, which Burns finances by selling his fathers famous guns to an Italian fan who agrees to finance the film. They and assorted other motley characters venture to Paintbrush Valley to film it amidst sabotage. Everyone gets a comeppance that needs one and all’s well that end’s well. The prose starts out with a little depth and characterization that it loses as it moves. Perhaps that’s part of being very closely tied to a screenplay where the characters are established and then it rolls. I dunno. Being more of a novel reader, I thought it could have used a little more through the last half or third. Still, it’s a pleasant read. On the other hand, it makes me wonder if I could write something like this. I’ve had a couple of ideas for screenplays in mind; perhaps I could first blat them out like this and then screenplayify them. But on the other hand, that sounds like work, and I’d rather sit down with a book. Fun fact, maybe: The book features a bar called Hegarty’s. Is Balestrieri paying homage to Haggerty’s, a bar near the Marquette campus? Maybe! As I have mentioned before, there’s a retired educator’s group at the Republic Pumpkin Daze fall festival selling books. This year, I only got two books, but I feel the need to do an online end-zone dance. 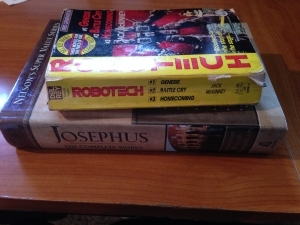 The first is a paperback containing three RoboTech novels. 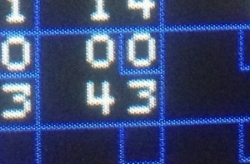 But the second. Ah, the second. I’ve been looking for a book of Josephus’s writing for some time. Josephus is a first century Palestinian who wrote a bunch of Jewish and Christian history without actually getting included in the Bible. I’ve looked for it at ABC Books, but the one time I didn’t buy a copy because I was already spending a pile on something else proved to be my best shot at the author. I mean, there’s currently an old edition with tiny print that I’d be afraid to read up there for like $20. But at the bottom of a bin of books on the ground–not even the books on the tables!–I found a Nelson’s Super Value Series collection of Josephus Complete Works. I pulled it from the bin and made a happy sound, and then my eyes darted to make sure nobody was going to take it from me. Only $2 or so (it was not Dollar Bag time, but the accounting was a bit lenient, I think). So now I’ll have to figure out when to add another 1000 page book to my queue.